Amen Corner ends with a bang. 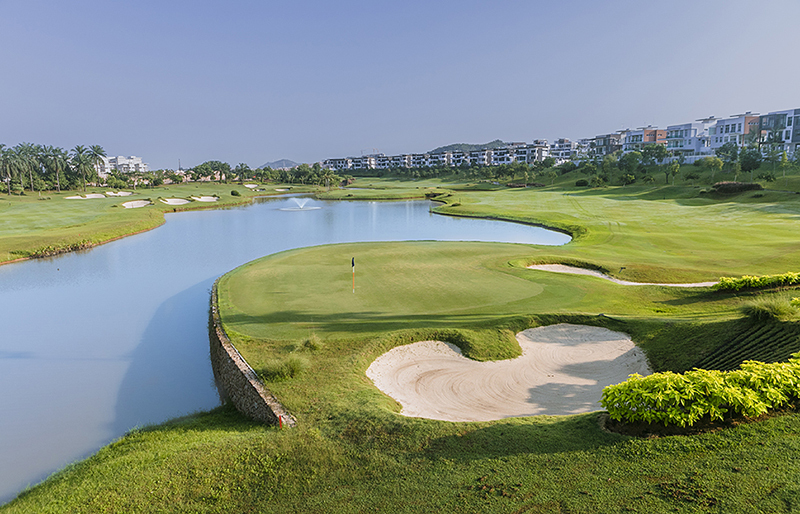 This Par Five boasts of possibly the only hole in the region with an island fairway that sits on the lake alongside the main fairway. 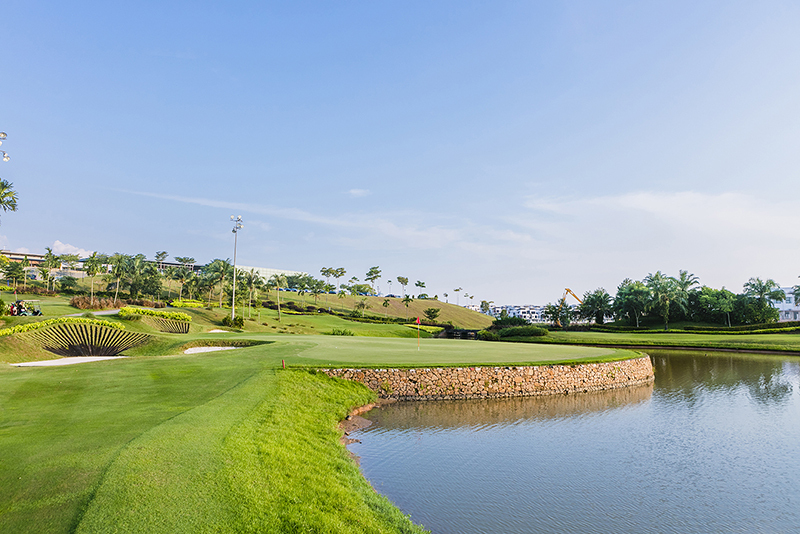 The tee shot has to be very accurate instead of long, if playing this as a three-shot Par Five as water guards the right all the way to the green. The long hitter who opts to attack the island fairway will be rewarded with a long iron or rescue wood second shot to the green. But again, it is another full carry over water. This is a typical risk-reward hole, a feature that Watson understands only too well and subscribes with relish. The 18th here is well justified as Horizon Hill’s finish to a golfing adventure.